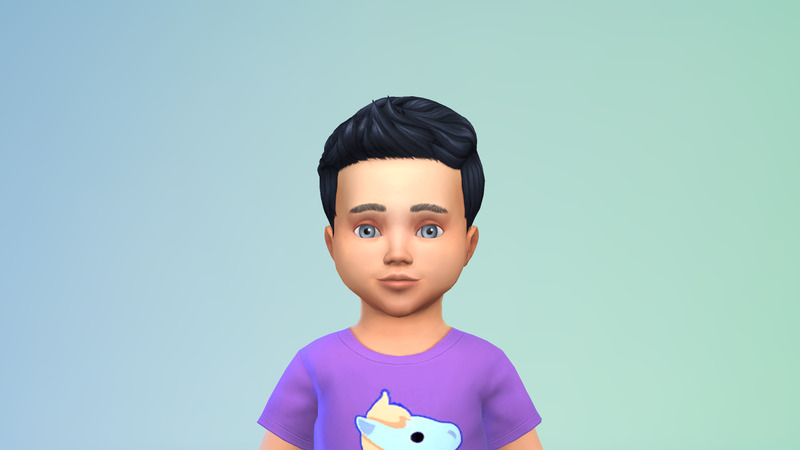 I've decided to try my hand at an OWBC on TS4! 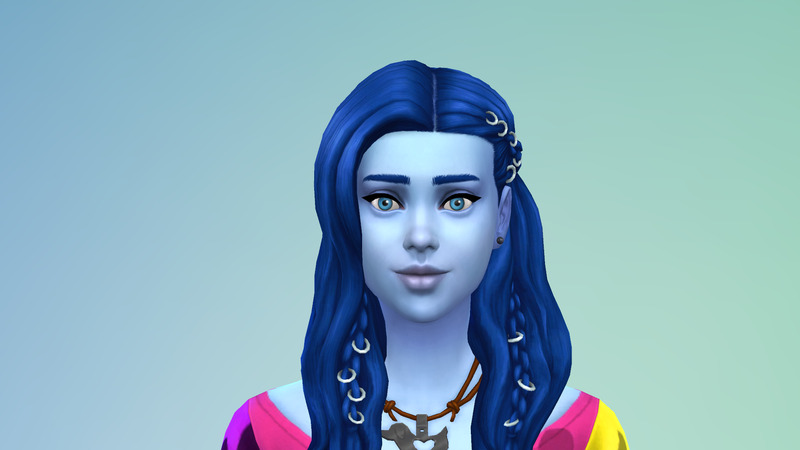 My founder is named Amy Azure, and, as you can see, she is very blue. 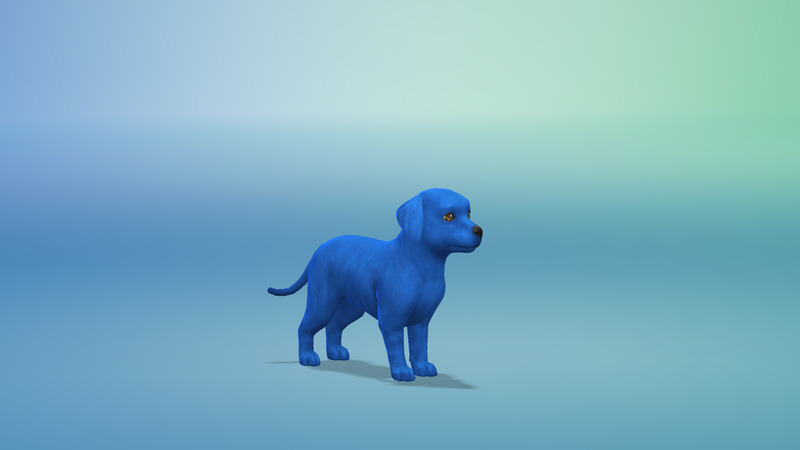 I needed to create a dog with her to fulfill the Cats & Dogs requirements, so here is my puppy named (very creatively) Blue! Blue is actually a Dalmatian, but both her main coat color and her spots are blue. I'm hoping to adopt a male dog to breed her with later, can't wait to see what happens with the genetics! 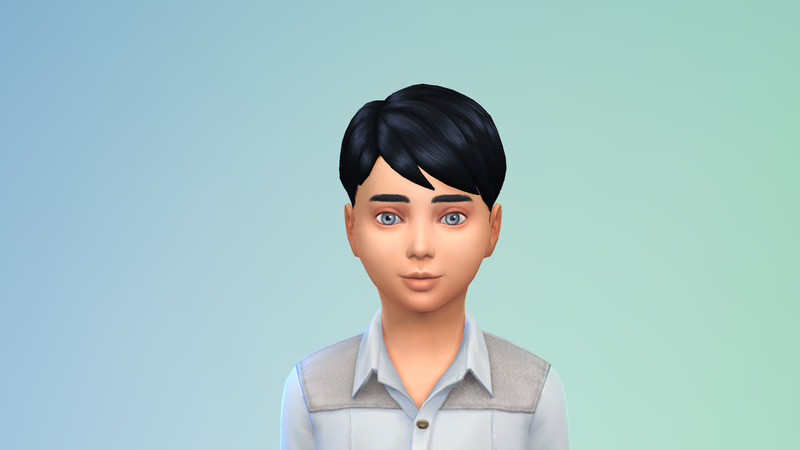 Heir Poll Results are in! 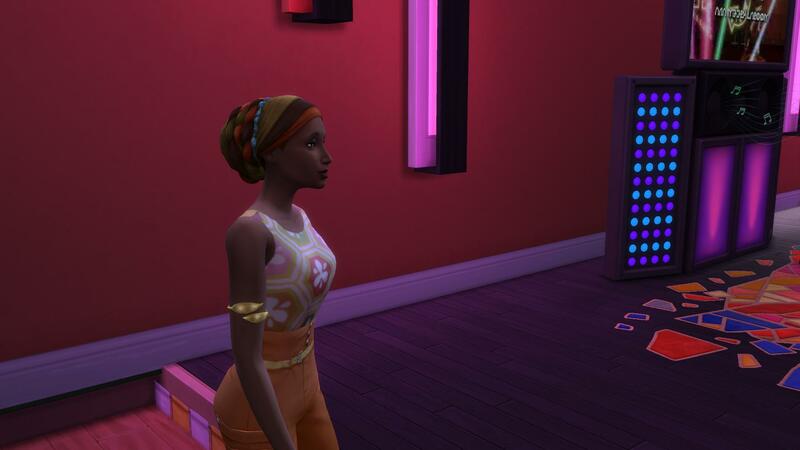 Pamela will be the next heir! Last edited by SarahSims on March 31st, 2019, 11:24 pm, edited 11 times in total. 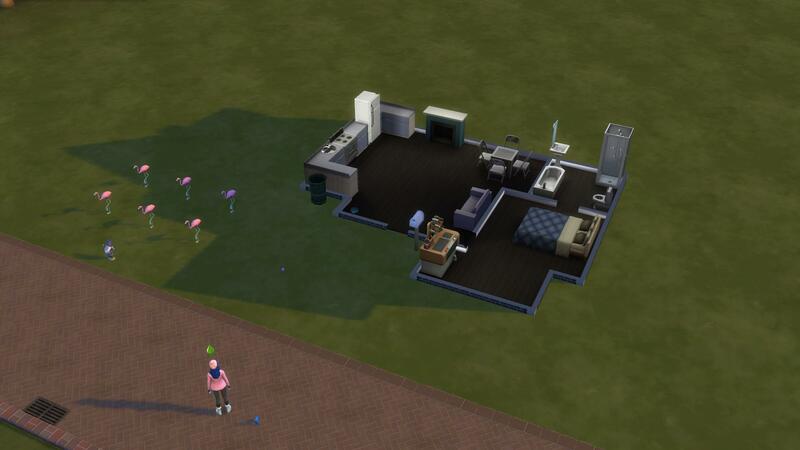 To start, I downloaded an empty house from the Gallery, modified and furnished it. 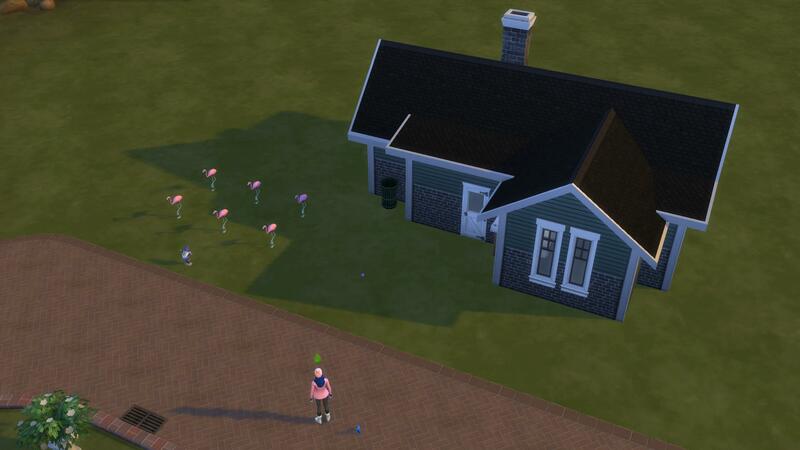 Of course I also added my gnome and flamingos! 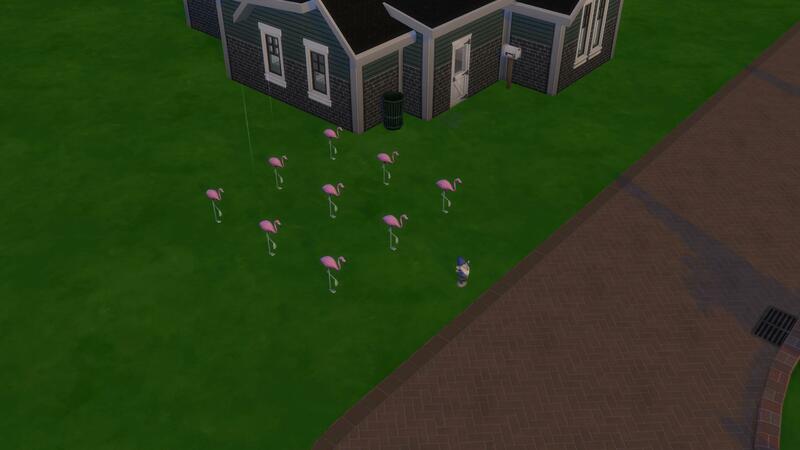 I wasn't sure whether I needed 3 flamingos for Blue, but I decided that more flamingos would obviously be better. Pretty basic layout. 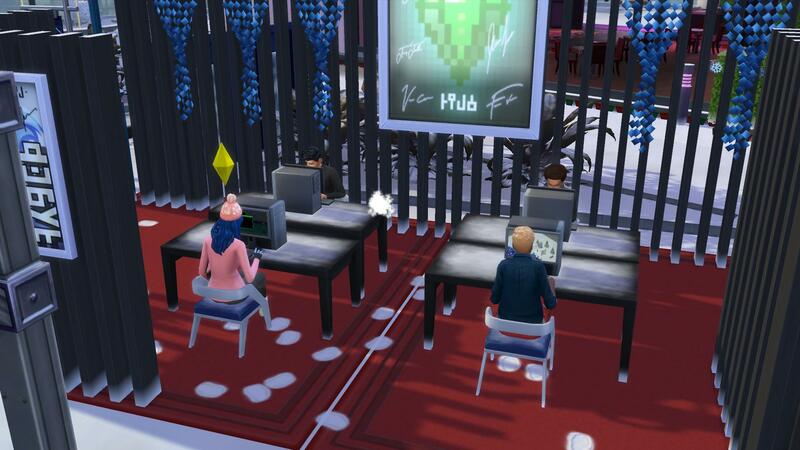 I made sure to have a pet treat crafting station and a fireplace (for reasons which will become apparent later). After a few days of crafting pet treats to sell, I got the first festival notification: GeekCon. 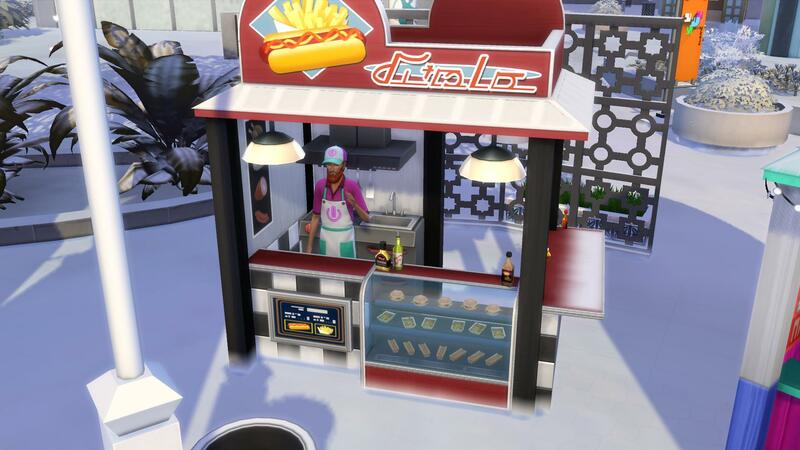 Amy first headed to the American food stall for a hot dog. 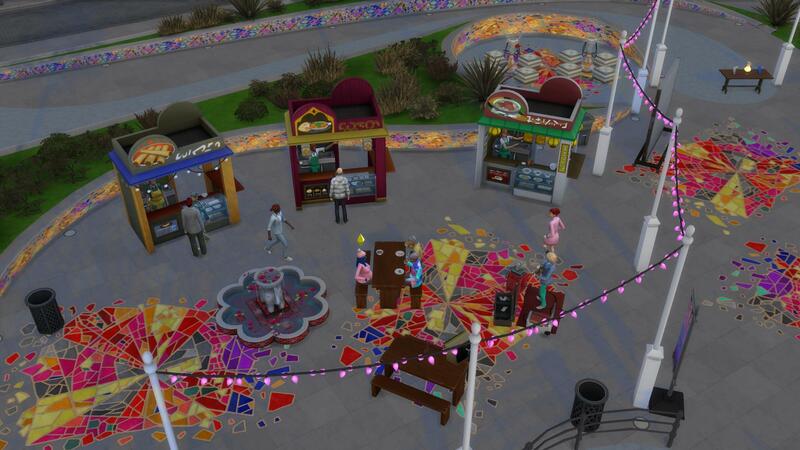 I've realized now that I'm really going to need to eat at food stalls a lot in this challenge! I've never gotten the Spice Hound and Chopstick Savvy traits before, so this should be interesting. 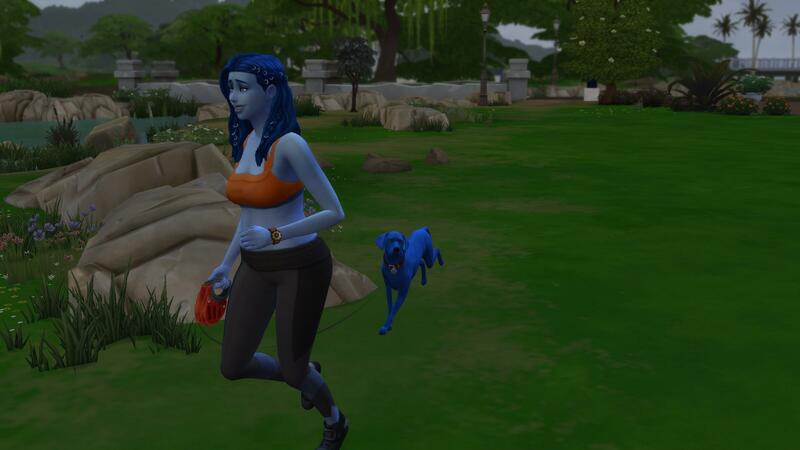 After she got back home, Blue became an adult! 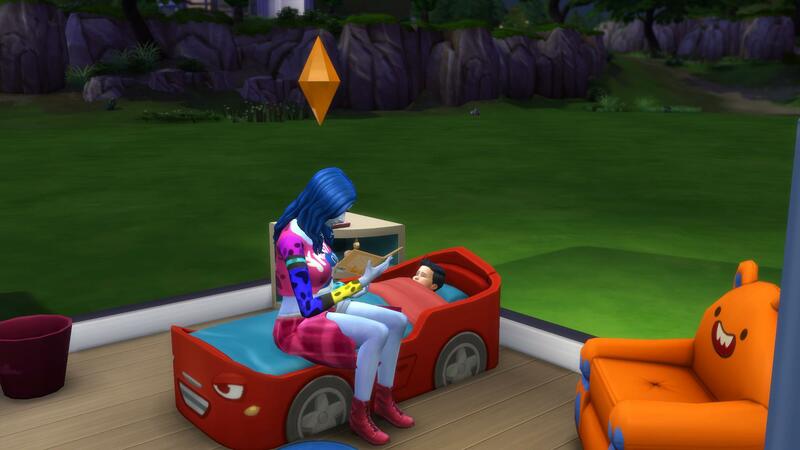 This is good since one of her goals is to teach him all the commands he can learn. 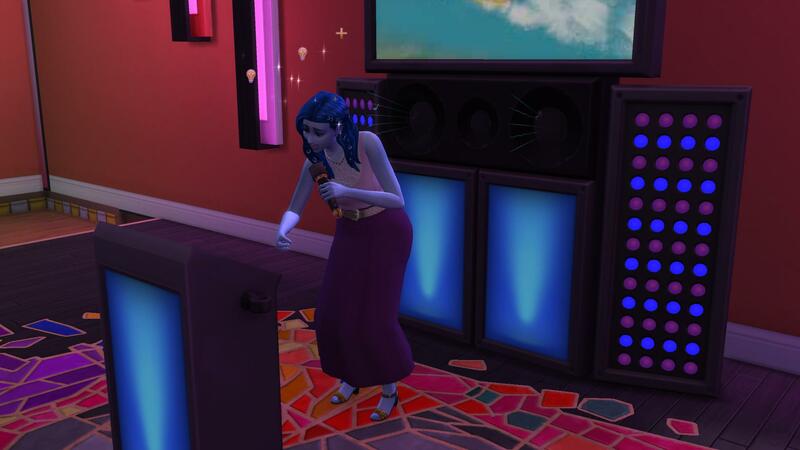 Amy accepted an invite from her neighbor Dennis Kim to alien night at the bar. but there were no aliens. Oh, never mind, there they are. 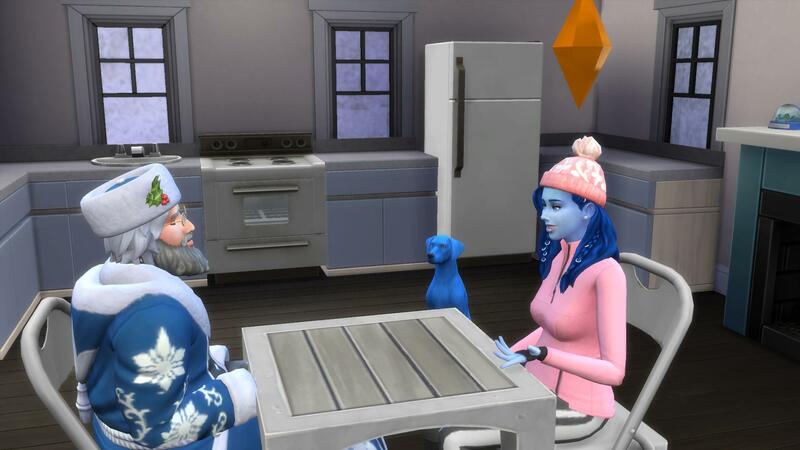 Hm, his skin is blue like mine. Are we meant to be? 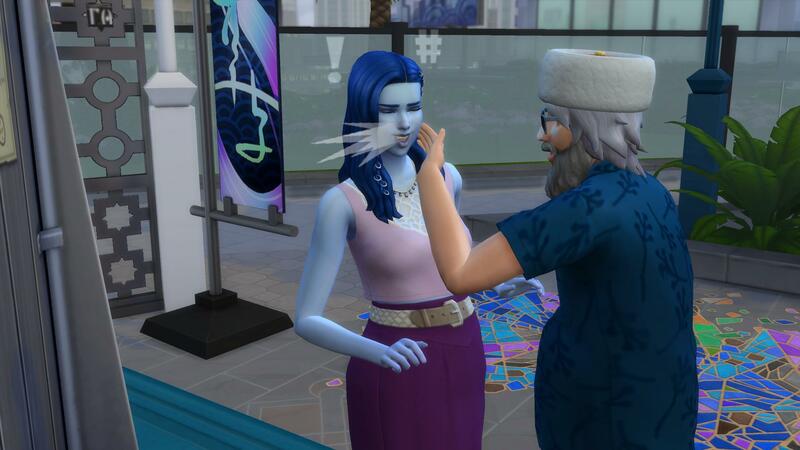 I've heard rumors that children of Father Winter get special interactions or something, so I've been wanting to try it out to see for myself! That's all for now! 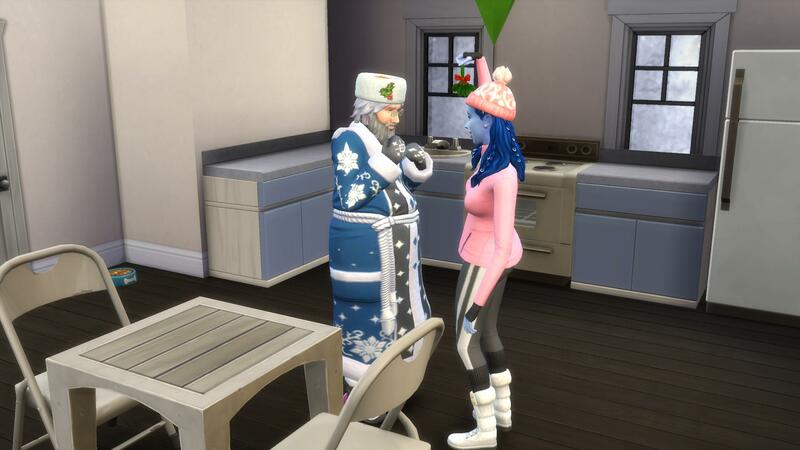 I can't wait to see what happens with Father Winter's baby! 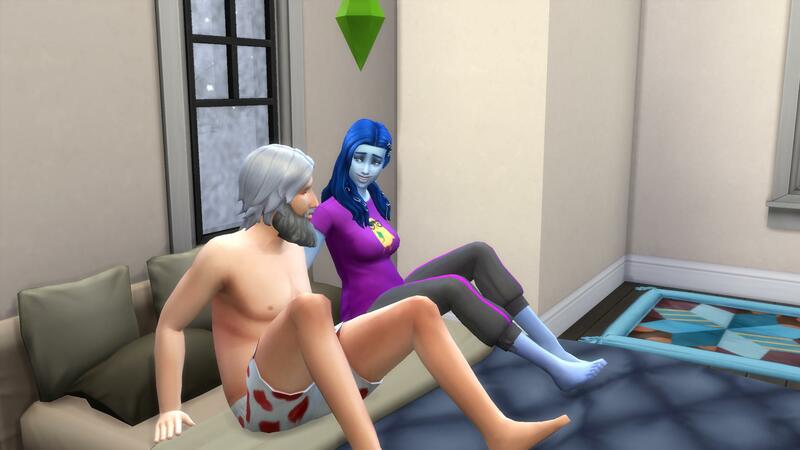 She'll have one pregnancy by Father Winter, one by an alien, and what about the third? Let me know what you think! ooh she's cute! 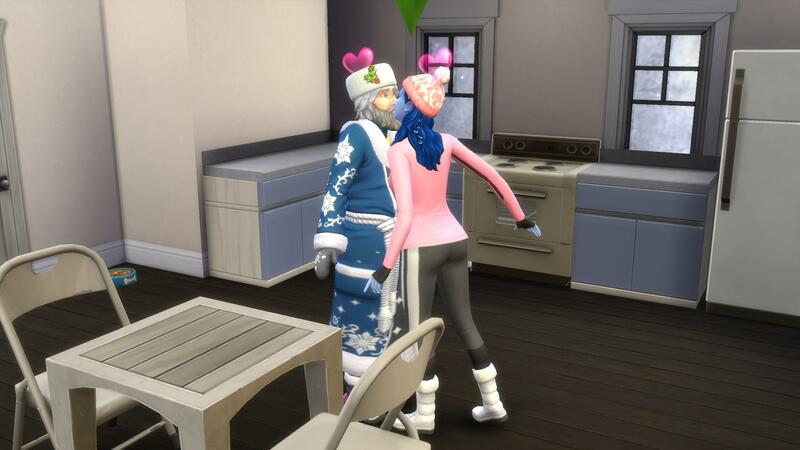 I've also never got the hidden city living traits so i'm excited to see your progress!! 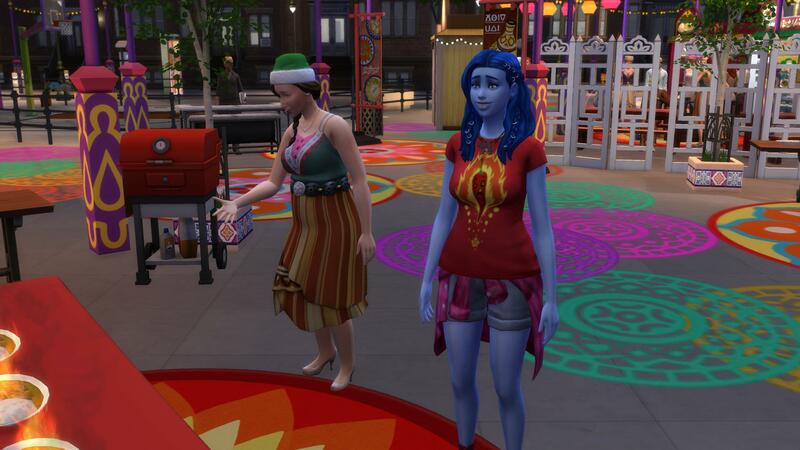 And she was thrilled to participate in the spicy food eating contest at the Spice Festival, even though she didn't win. And before I knew it Braydon was a toddler! I love his bright blue eyes, those must have come from Amy. 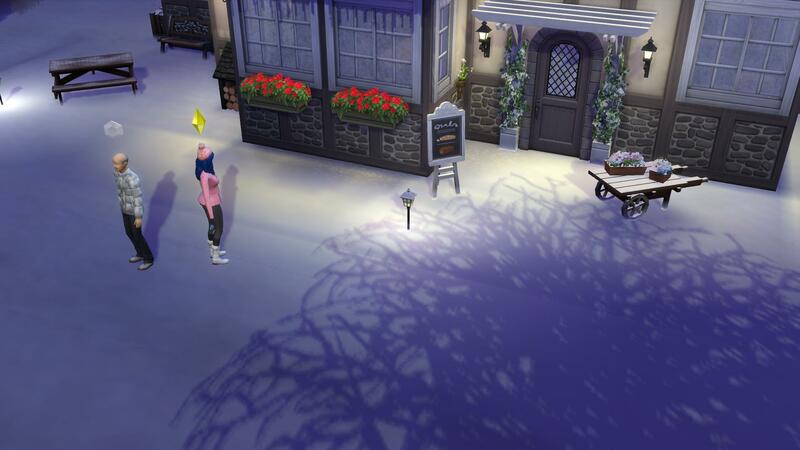 Once they were finished, Clement Frost appeared and accused Amy of cheating even though they were never official. Hmph. There goes that relationship bar, lol. I want to accuse her of being smug, but she's just so cool! And then Braydon became a child! Probably going to get Amy pregnant by Dawson soon. 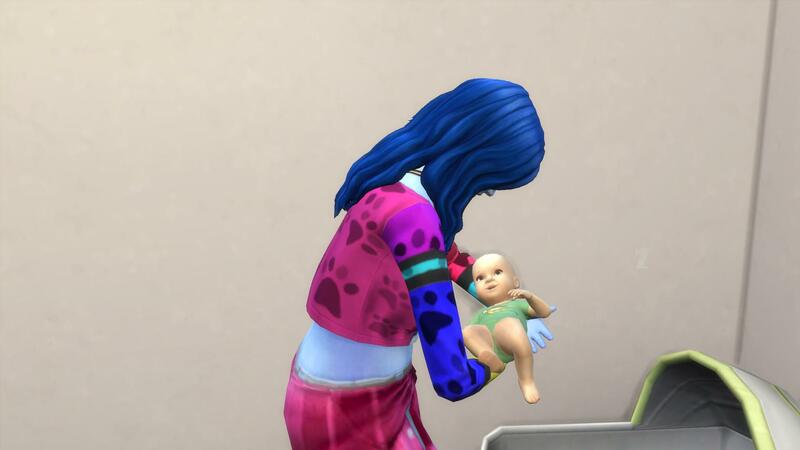 I realized that I boxed myself in to requiring that the heir by female and have the blue skin tone, so I got Amy the fertile trait and stocked up on strawberries. Money is still tight, but I had Amy plant some orchids she got from one of the festivals, so that should help. 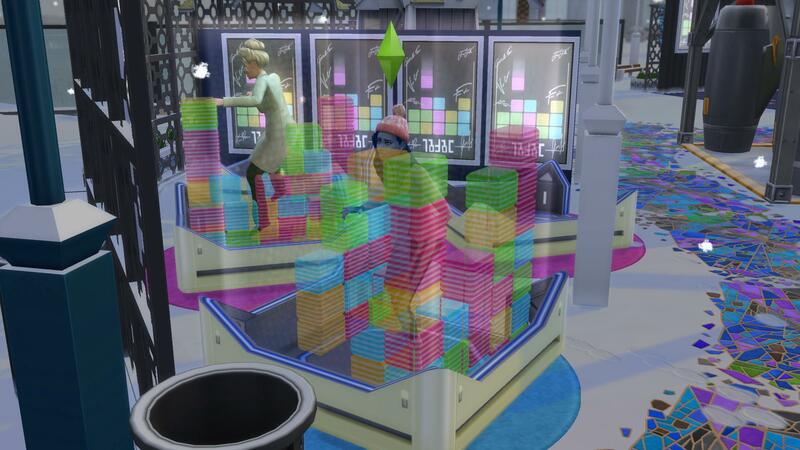 And I might farm Braydon's aspiration points for a money tree. To complete the Cats & Dogs challenge, I need to have Amy open a vet clinic. 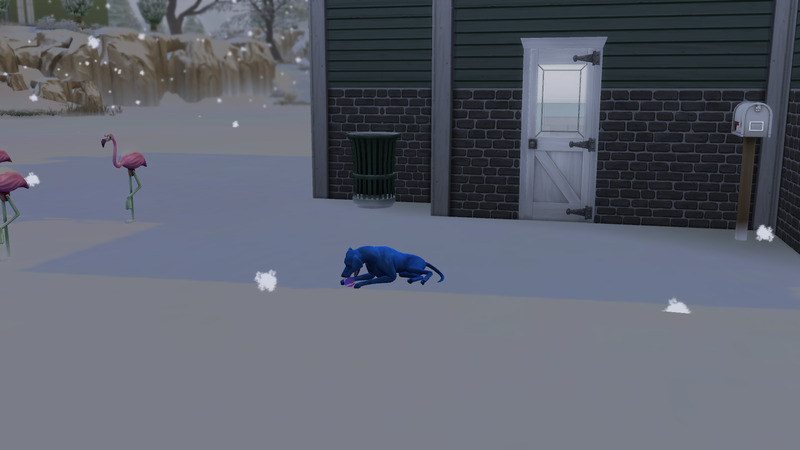 My plan is to save up to buy the Brindleton Pawspital instead of building my own, but it's pretty pricey so we'll see. Until next time! I've started posting my challenge updates to wordpress! Moving along - Blue is adorable, and Archimedes. Love the dogs. finally got caught back up on the reading. 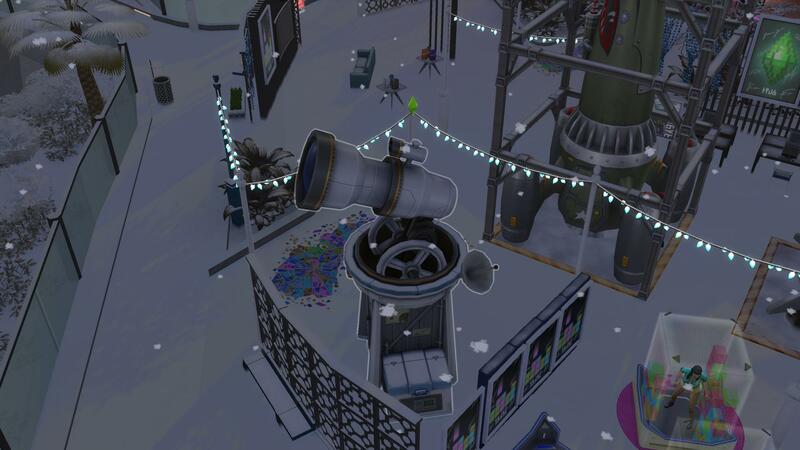 I am impressed with the aspiration completion on everyone! way to go!! !